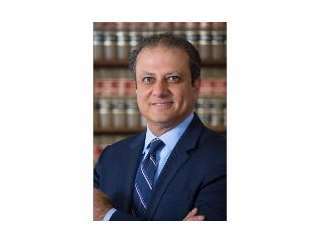 Preet Bharara, the former U.S. Attorney from New York, earned a reputation as one of "the nation's most aggressive and outspoken prosecutors" (The New York Times), focusing on big banks, terrorists, hedge funds and public corruption. Prosecuting some of the most high-profile cases of the last decade, he used his hard-charging style against the likes of Bernie Madoff and Wall Street firms. A defender of justice and fairness, Bharara will address some of today's most pressing topics in the corporate, legal and educational worlds.